This course is an intensive combination of classroom lectures and laboratory demonstration exercises that address the thermal properties of refractories. For each thermal property covered in this course, the relevant background theory is first provided to establish a common reference point. Next, the measurement technique for each property is described in detail. Finally, each measurement technique, including sample preparation, is demonstrated in the laboratory. The individual sessions are shown in the accompanying outline of the daily topics. This course is limited to 16 participants. Technicians and engineers who are involved in the manufacturing and testing, research and development, or consumption of refractory materials will find this course beneficial. Refractory installers and maintenance personnel may also benefit from this course. A high level technical or engineering background is not essential to take this course, although technical professionals will find the subject matter informative and useful. 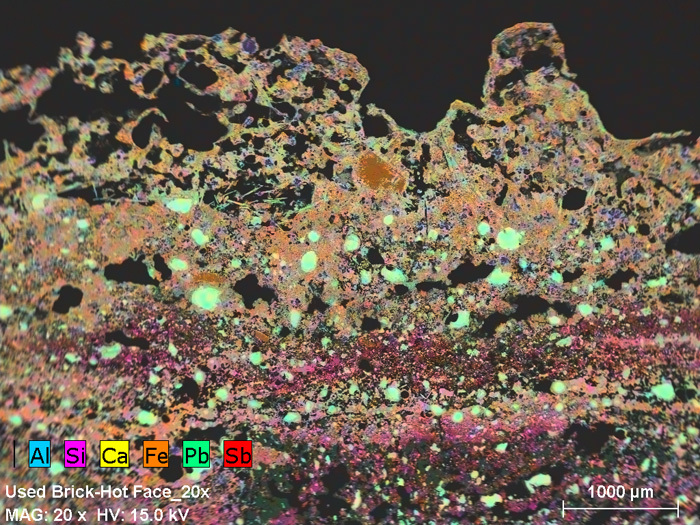 The objective of the lecture portion of this course is to provide the participants with an understanding of the thermal properties of refractories and their corresponding measurement techniques. The objective of the laboratory sessions is to provide the participants with direct experience in fabricating test specimens and the application of standard test methods. Dr. Joseph Homeny is Technical Director of the Edward Orton Jr. Ceramic Foundation, Columbus, Ohio. He holds a Ph.D. degree in Ceramic Engineering from the Pennsylvania State University and M.S. and B.S. degrees from Rutgers University. He has industrial refractories experience in the research laboratories of the J.E. Baker Co. and North American Refractories Co. Prior to joining Orton in 1992 he taught refractories as a professor in the Ceramic Engineering Department of the University of Illinois. Joseph is active in the C08 refractories committee of ASTM. Mr. Garrick Ackart is a Material Testing Engineer in the Materials Testing and Research Center at the Edward Orton Jr. Ceramic Foundation, Columbus, OH. He holds a B.S. degree in Ceramic Engineering from Alfred University. He has 15 years of industrial refractories experience in both research and manufacturing at Thermal Ceramics and McAllister Mills. Garrick is active in the C08 refractories committee of ASTM. Dr. Beau Billet is Laboratory Manager in the Materials Testing and Research Center at the Edward Orton Jr. Ceramic Foundation, Columbus, Ohio. He holds Ph.D., M.S., and B.S. degrees from The Ohio State University in Materials Science and Engineering. His experience includes prior employment with METSS (Materials Engineering Technical Support and Services). Beau is sub-chairman of ASTM C08.02 (Thermal Properties of Refractories). Mr. Brian Rayner is Testing Services Manager in the Materials Testing and Research Center at the Edward Orton Jr. Ceramic Foundation, Columbus, Ohio. He holds a B.S. degree from The Ohio State University in Materials Science and Engineering, with a minor in Ceramic Engineering. He has over 15 years of experience supervising glass and refractories laboratories. Brian is sub-chairman of ASTM C08.01 (Strength Properties of Refractories) and ASTM C14.02 (Chemical Properties of Glass). The Edward Orton Jr. Ceramic Foundation provides products and services to the ceramic materials industry. The Foundation was established in 1932 and has continued to adhere to the guiding principles as prescribed by Edward Orton Jr. in the founding documents. Orton's Materials Testing and Research Center provides third party, independent testing of refractories and other ceramic materials for more than 1200 companies to help solve difficult product or processing problems and conduct failure analysis. Please download and complete the form using the link at the top of this page to reserve your place in Orton's "Laboratory Training - Thermal Properties of Refractories". Hotel reservations may be made using the link at the top of this page as well, for the discounted course rate. Please contact homeny@ortonceramic.com with additional questions. 5 Ceramic Products That Changed the World! When you think of ceramics, many people may flash back to a high school pottery class or think of a fine china or dollmaker. What many do not realize is that we use ceramics for everything from screws to laboratory equipment. Working directly with our customers, Orton continually explores new products and services with the same commitment our founder Dr. Edward Orton Jr. made to the ceramic industry over 100 years ago. The ceramic industry is vast, creating products used by everyone in the world. 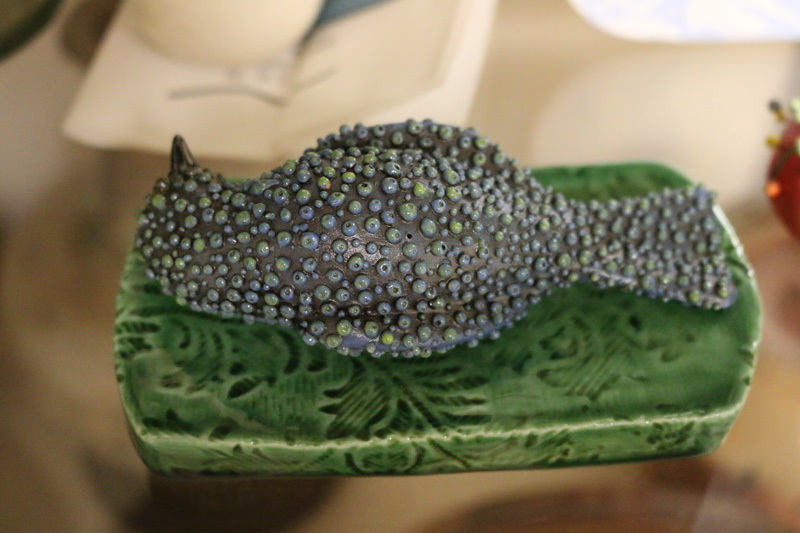 There are some that you might not think of, though, and we want to show you some of the more interesting items on the list to broaden your view on the wide world of ceramics. It is so much more than your mom’s favorite vase. The color, size and strength of dental parts made from zirconia are directly related to the temperature they are sintered. 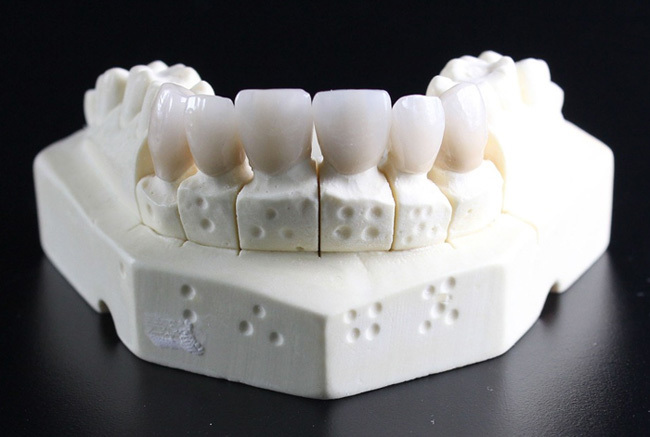 The fascinating use of ceramic in the dental field seems tailor-made. Ceramic is the proper color, consistency and general feel of natural teeth. Being that it is ceramic material, the temperature can be set so precisely that the ceramic hardens into the exact hardness of human teeth. Interesting fact: Before the use of ceramic in dentistry, materials such as wood, wax, gold, silver, plastic and even seashells! For more interesting stories of wild things people used to do with their teeth in history, click here. I bet you didn’t know that ceramics are used in the turbine blades for jets! That’s right, while often mixed with an alloy into a composite, ceramics are used in aircrafts because they are ⅓ the weight of an alloy, they can operate under degrees of 500 or higher unlike alloys which will soften with intense heat, they increase thrust due to not needing as much cooling air, reduce gas consumption and reduce the cost of electricity. Technologies like ceramic composites are making our aircrafts more efficient, lighter, faster and stronger. Did you ever wonder how they were able to make space shuttles that do not burn up on re-entry to Earth’s atmosphere? The answer? Ceramics! Ceramics can handle such high temperatures that when scientists from shuttle development placed a sample of the ceramic shuttle tiles into a 2200 degree furnace. When taken out, they could pick the tiles up in less than 10 seconds with their bare hands while they still glowed, molten inside. The science of ceramics not only helps us get to space, it allows us to get home and share the story. To see the video of the glowing shuttle tiles, click here! Why would body armor be made with ceramic plates? Hard body armor, made out of thick ceramic or metal plates, functions basically the same way as the iron suits worn by medieval knights, the armor material pushes out on the bullet with the same force with which the bullet pushes in, so the armor is not penetrated. You may be thinking, bathroom tile is made of ceramic and it is extremely brittle, so how does it work against a bullet? It turns out there are thousands of different materials classified as ceramics. The ceramic used in body armor is called alumina, with the chemical formula Al2O3. Sapphires are made of alumina, and sapphire is very strong. Over the last twenty years, there has been a considerable increase in the use of ceramic materials for implant devices. With an excellent combination of strength and toughness together with bio-inert properties and low wear rates, a special type of oxide called zirconia is now used for total hip replacements. The zirconia doubles the strength of implants prompting other applications which could benefit such as knee joints, shoulders and spinal implants. Just like with teeth, ceramics can be made to closely resemble bone in weight, density, color and strength. Ceramics are changing manufacturing and technology more every year. The breakthroughs in composites and temperature testing are creating safer, stronger, better and more advanced products than ever before. There are so many more interesting uses for ceramics today. To learn more, visit Orton Ceramics online at www.OrtonCeramic.com. You can also get to know us better by liking our Facebook page to receive more access to our great articles, posts and updates! Visit us on Facebook and Twitter at @OrtonCeramic. Those experienced in firing ceramics know that kiln atmosphere can have a major influence on the reaction rates and properties of the ware. Since the point at which a cone will bend is brought about by thermochemical reactions, we would also expect that atmosphere also influences when a cone will deform. Fortunately, the atmospheric conditions that influence product properties generally have related effects on cone behavior. The appearance of cones after they have been drawn from the kiln usually gives an indication of the kiln conditions during the progress of the cones through the fire. Cones going down in the wrong sequence or direction are often an indication of improper placement of the cones, improperly made plaques used to hold the cones, or some other atmospheric effect. Reducing conditions are associated with gas kilns when the ratio of gas to air is adjusted so the oxygen content is very low. Under reducing conditions, the organic binder and any organic matter associated with the materials used in making a cone, cannot fully oxidize. As a result, the cones will develop a black core from trapped carbon. Most ceramics will mature at lower temperatures when fired in a reducing atmosphere. In some processes, excess fuel is injected into the kiln to induce reduction, as is commonly done in the manufacture of bricks to produce a color effect. This process often called “Flashing” does not normally have an adverse effect on cone deformation. Black coring can also occur if the temperature is increased too fast at the onset of a firing. Under such conditions, there is insufficient time for oxidation of the organic material within the cone to occur. The presence of a carbon core (black coring) can induce bloating and change the bending behavior of a cone, making them inaccurate. The presence of sulphur in kilns will have an adverse effect on cones that are manufactured with red iron oxide; those include cones numbered from 010 to 3. The “red” cones will have a green to black appearance after firing in a reducing atmosphere. In kiln atmospheres that are either Sulphurous or reducing, cones can also develop a rigid “shell” with a softened interior that is partially melted. These “Hard-shelled” cones will not deform naturally. The surface of the cone will have a matte finish and appear rough with sharp edges. Hard-shelled cones do not bend in an arc but are stiff and will bend only at the base, like a felled tree. Hard-shelling may also be encountered due to the volatilization of boric oxide from the glass frit used to manufacture cones numbered from 010 to 3. Hard Shelling causes cones to deform at temperatures higher than normal. In order to provide cones that will work in reducing conditions and in the presence of sulphur, Orton manufactures a twin line of cones that are formulated without red iron oxide. The “Iron free” cone series is identical in performance to the regular series of cones from 010 to 3. The presence of water vapor, particularly in larger quantities, will influence cone behavior. The action of water vapor upon a cone will make it deform sooner than normal. The reason for this is that water vapor diffuses into ceramic materials and causes changes in the vitrification process. This accounts for different behavior seen in firings made in an electric kiln as compared to a gas fired kiln. Even though water vapor in the products of combustion can run as high as 20%, it does not take away from the value which cones can have because comparable effects are usually found in the properties of the ware. Fly ash from the burning of solid fuel may settle on cones and influence thier deformation. Likewise, volatile products such as salt fumes, lead, and zinc compounds may produce a surface glaze on the cone which may influence cone bending behavior. The cutting tongues of flames may cause cones to develop melted tips, or cause abnormal deformation if the cones are placed too close to gas burners. If possible, cones should be protected from flame impingement and kiln drafts. Radiation from hot surfaces, or, if the cones are placed close to cooler surfaces, will have some effect on cone deformation, and, so far as is practical, should be protected from such conditions. The Edward Orton Jr. Ceramic Foundation is pleased to announce that Dr. Joseph Homeny has been promoted to Research and Technical Director. Dr. Homeny joined Orton in 1992 as Manager of Orton’s Testing Services and has lead the development of Orton’s Testing Services to a highly respected and trusted testing services laboratory, supporting the ceramic industry with trusted and unbiased material analysis data. Dr. Homeny received his PhD in Ceramic Engineering from the Pennsylvania State University in 1980. Mr. Brian Rayner has been promoted to fill Dr. Homeny’s position of Testing Services Manager. Mr. Rayner joined Orton in 2004 and served as a Materials Testing Engineer and most recently as Laboratory Manager. Mr. Rayner received his BS degree in Ceramic Engineering from The Ohio State University in 1998. Dr. Beau Billet has been promoted to Laboratory Manager. Dr. Billet joined Orton in 2016 as a Materials Testing Engineer. Dr. Billet received his PhD in Materials Science and Engineering from The Ohio State University in 2013. Orton expanded its Testing Services laboratory space in 2016 with the addition of an 8,000 square foot building, emphasizing Orton’s commitment to providing unsurpassed services to the ceramic industry. The Edward Orton Jr. 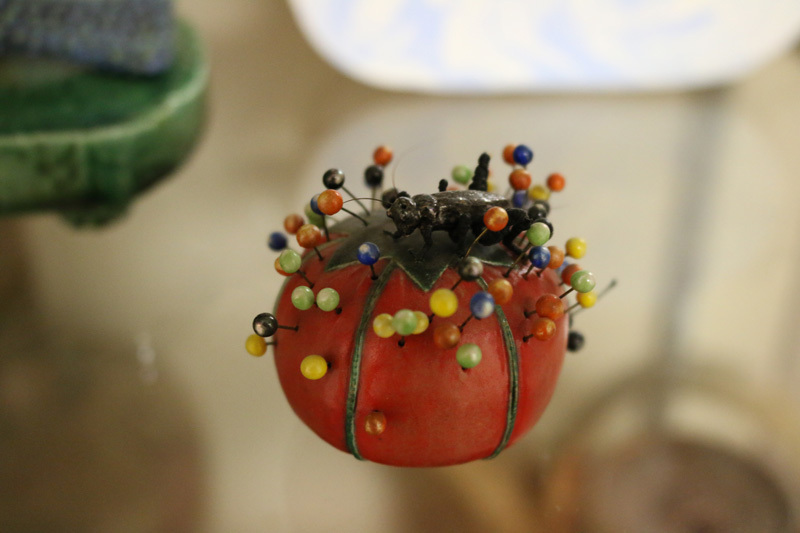 Ceramic Foundation was established as a Trust under Ohio statutes in 1932. Orton provides pyrometric devices to verify thermal processing, electronic kiln controllers, thermo-analytical instruments to measure high temperature properties of ceramic materials and laboratory analysis of materials based on ASTM Standards. 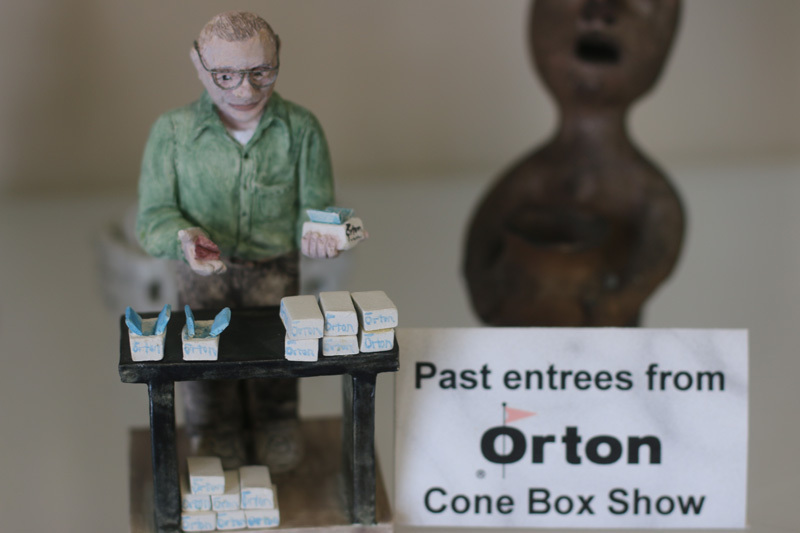 All profits from the operations of Orton are utilized to support research at the university level in support of the ceramic industry. We have a new session of our short course coming up in October. This course is an intensive combination of classroom lectures and laboratory exercises that address most of the significant topics in the field of refractories, both theoretically and experimentally. Engineers, managers, contractors, purchasing agents, furnace operators, maintenance supervisors, and technicians who are involved in the manufacturing, marketing, research and development, or consumption of refractory materials will find this course beneficial. Controlling the temperature when sintering dental zirconia crowns, veneers, and implants is critical in order to achieve the highest quality. The color, size and strength of dental parts made from zirconia are directly related to the temperature they are sintered. The target temperature required to properly sinter Zirconia does not allow for much error. Without proper control of the temperature, all of the detail and workmanship put into the parts can be ruined if placed into a poorly controlled furnace. Control is achieved through the use of electronic temperature controllers, thermocouples and calibrated shrinkage products (TempTAB®). Electronic controllers are basically volt meters. They convert the millivolt signal generated from the thermocouple into a temperature. Extra computer logic is added along with some hardware to make the controller do some additional tasks to heat and cool the furnace on a programmed heating cycle. To perform properly, the electronic controller has to be calibrated. This is not a one-time thing. Electronics degrade over time and require service to compensate for the degradation. If not accounted for, a controller can easily misreport the actual temperature by as much as 50 degrees C. Check your owner's manual and contact your furnace supplier to find out how to calibrate the furnace according to their recommendations. Thermocouples are made from two dissimilar metallic wires that are welded together to form a bead. When the bead is heated, a very small electrical signal is generated in the wires. The electrical signal is on the order of millivolts and can be detected by connecting the ends of the wires to a volt meter (electronic controller). Since the wire used to form a thermocouple degrades with each thermal cycle, the small electrical signal it generates will change as well. Over time the signal will degrade to the point where the temperature read by the electronic controller will no longer be accurate. The furnace readout will continue to display a temperature value, but the actual temperature can be off by over 100 degrees. To help the operator monitor the accuracy and repeatability or the furnace, they can place a calibrated shrinkage product into the furnace. The TempTAB 700, produced by Orton, is just such a device. 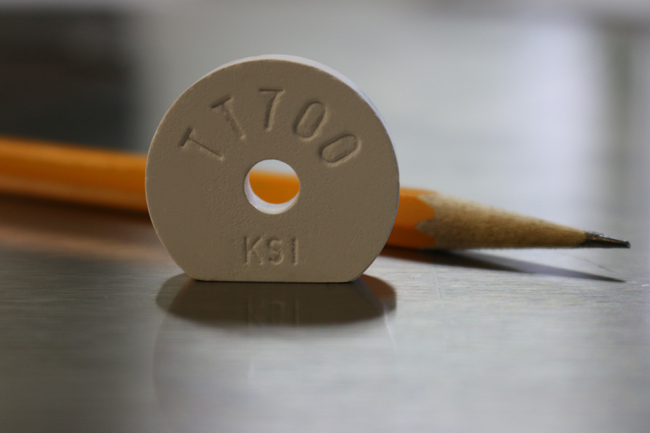 The TempTAB 700 is made to be sintered along with the Zirconia parts. The operator will measure the diameter of the TempTAB after the thermal cycle is complete and input the measured value into the TempTracker software program. Orton engineered the TempTAB 700 so that the shrinkage can be converted to a representative equivalent sintering temperature. By using the TempTAB on a regular basis,( daily or weekly) the operator can determine when the thermocouple and electronic controller begin to degrade and insure that the zirconia reached the proper sintering temperature. Since the TempTAB do not rely on an electrical signal that can change with each cycle, they can be trusted to provide a real measurement of the temperature seen within the furnace. By using the control chart generated by the free TempTracker software, the operator can see when it is time to either replace a thermocouple, or call for calibration service. The best time to begin using the TempTAB is immediately after a calibration or at the start of using a new furnace to establish a benchmark for future comparison.